OFDA100 is only to be used where Medullation is Required. 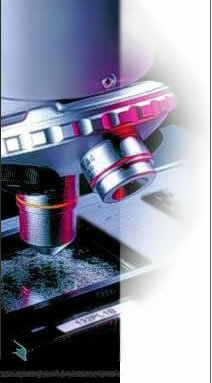 Developed with research support from several international organisations, the OFDA is the only image analysis system to be recognised with a Test Method from the IWTO (International Wool Textile Organisation). 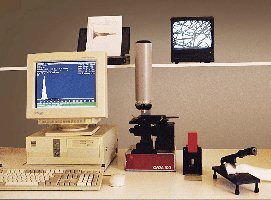 Since its debut in 1991, the OFDA has become the most common way of automatically measuring fibre diameter distribution, with over 120 in use across 22 countries. OFDA is used at all stages of the wool processing pipeline, from fleece to yarn and fabric. It is also used to measure other fibres, including cashmere, mohair, alpaca and certain synthetic fibres. 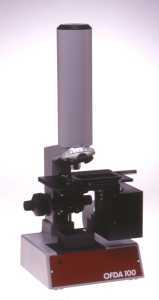 The OFDA is the first automatic instrument to measure fibre opacity and fibre curvature. Fibre opacity directly measures the ability of each fibre to transmit light, and is determined by the fibre's shape, internal structure, colour and surface quality. In white animal fibres, the main cause of opacity is medullation (hollow fibres). Medullated fibres stand out in a cloth since they dye differently. Fibre curvature is one of the main components of crimp. Several international researchers have had promising results using OFDA fibre curvature measurements to predict crimp, spinning ability and wool bulk (resistance to compression). Recently, the OFDA has aquired the new feature of measuring the diameter variability along a short length of fibre. This is used to derive a new parameter, the "blob factor". Although this function is in an experimental stage, these values may be the first steps toward an objective measure of fibre cleanliness, and hence a quality control tool for monitoring scouring performance and locating the source of spinning problems. Computer and printer: may be customer supplied, minimum system 486DX2-66, 400MB hard disk, 8MB RAM, MSDos 6.22, mouse, VGA colour screen, Epson FX or HP PCL compatible printer.